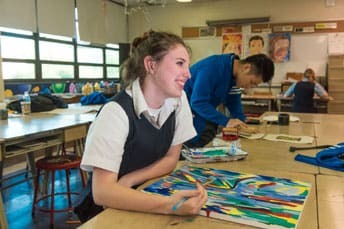 For 61 Years, Conwell-Egan Catholic has been dedicated to the education and shaping of young hearts and minds. Through the decades, we have continuously committed to cultivating leaders, inspiring scholars, and serving God. 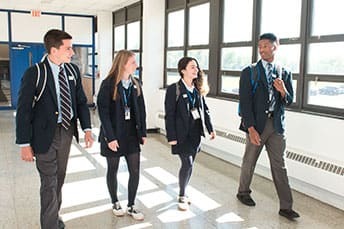 The attributes of integrity, compassion, and honesty are core values of the young men and women who have made Conwell-Egan Catholic their home. 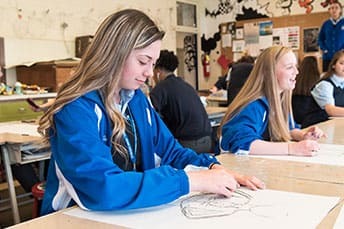 We are proud of our rich and spirited history at Conwell-Egan Catholic, a culture that has developed men and women who have excelled in their ambitions. Among the many are a governor, United States Congressmen, and multiple Fortune 500 CEOs. In all this, we remain humble and focused on our future! Renovating the school's auditorium to better support our successful Fine Arts Program. Through the Center for Student Leadership, students will be matched with professional internships, hear from speakers and experts in their field of interest, and much more. Purchase of Adobe Creative Suite and Wacom Intuos Art graphic tablets to provide the future artists of the world with the newest technology. Continuing our one-to-one iPad initiative to enable more focused learning, as faculty can differentiate instruction to better fit every individual's needs. Each student receives an iPad for their 4 years here, creating access to a world of knowledge at their fingertips. These enhancements, coupled with our recent renovation of multiple classrooms, hallways, and numerous additional safety features, bring new life to a school already rich with history and spirit! The newly opened Center for Student Leadership (CSL) is the next step in our mission to develop the intangible qualities that define a true leader. 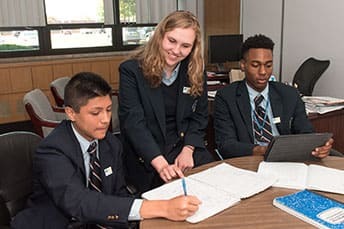 Every student will have the opportunity to work with the staff in the CSL and identify their own unique learning and leadership style while maximizing their academic and career prospects. 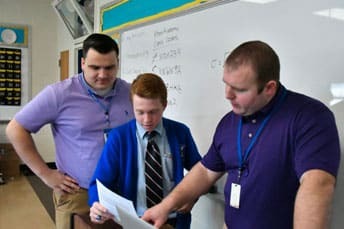 Here at Conwell-Egan Catholic, we challenge our students to embrace learning and develop their own legacy of leadership. Contact Dan Lodise, President of CEC, with questions.